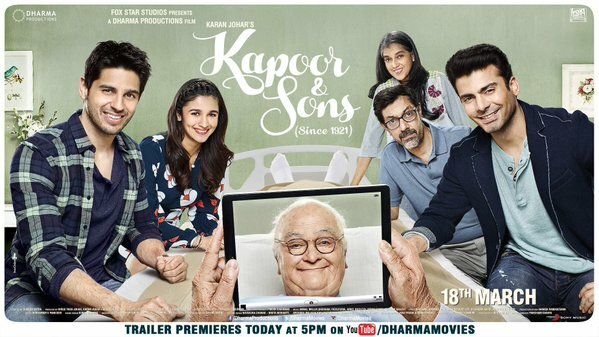 Kapoor & Sons Official Trailer + First Look. 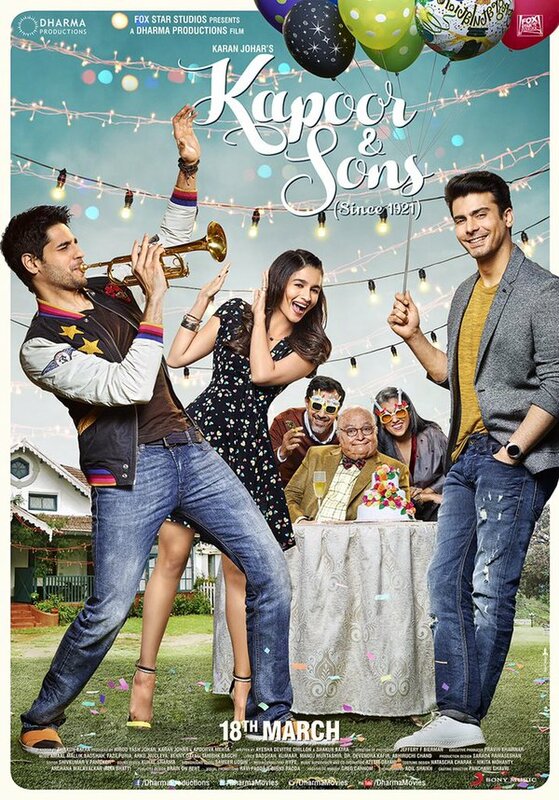 Here is presenting Official Theatrical Trailer and First Look of Kapoor & Sons starring Sidharth Malhotra, Alia Bhatt, Fawad Khan and Rishi Kapoor. 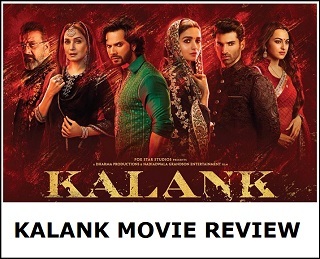 Film is directed by Shakun Batra and produced by Dharma Productions. 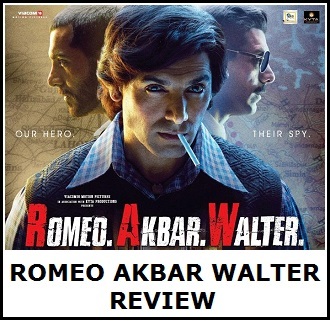 Film is slated for release on 18th March, 2016. Rumoured couple Sidharth and Alia will be seen again in big screen with the film, whereas Fawad Khan will give fresh line up to this already Hot pairing. Rishi Kapoor is playing Grandfather in the film is looking totally different in a new get up. Admin Aapki Headline Thik Karo. You Wright "Kapoor & Songs"